AT & T today launched an application in the App Store for monitoring the 57th seizure of power by a president of the United States from our smartphones and tablets. 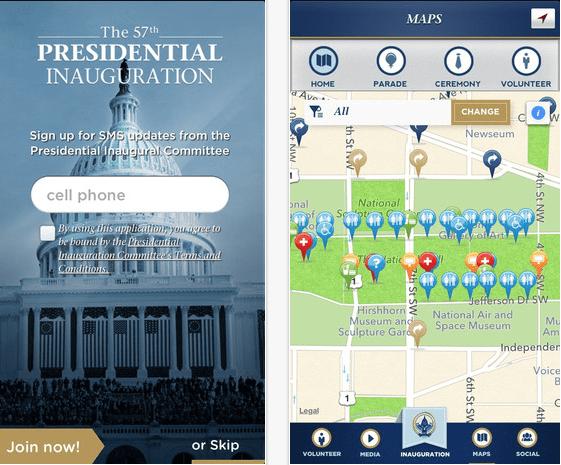 The application, entitled "Opening 2013", is now available for iOS and Android devices and from it you can watch live, streaming through the ceremony in which the U.S. president, Barack Obama, will make decision power. Since the application can access different sections: we find a countdown of the ceremony, which will take place next January 21 in Washington, DC, a section for those who want to volunteer from their cities and specific information for people who want to go to the city that day. Here you will find maps and other tools to move freely during the ceremony. The application is fully adapted to the screen of the iPhone 5. The curious thing about this app is that it has been launched by AT & T rather than by the White House. You can find it in the App Store from your country for free. Developer: AT & T Services, Inc. Article AT & T launches an app to see the takeover next week Barack Obama was originally published in News iPhone .